Ubuntu Kylin 15.04 Beta 1 Released! Ubuntu Kylin development team are pleased to announce that we have released 15.04 Beta 1 in February 27, 2015. Compared to 14.10 Final, the kernel has been upgraded to 3.18.0, the launcher in desktop improved by supporting two features, Local Integrated Menu and Minimize by Clicking, to make a better learning for Windows users to use Unity user interface and Ubuntu Kylin Software Center, Youker Assistant, Youker Calender and other featured applications upgraded with fixing more than 50 bugs in total, at the same time Youker Assistant V2.0 implements a brand new user interface and how it operates. Meanwhile, the development team co-develop Sogou Pinyin V1.2 with Sogou Co., fixing a number of important known bugs and supporting Lexicon Segmentation. 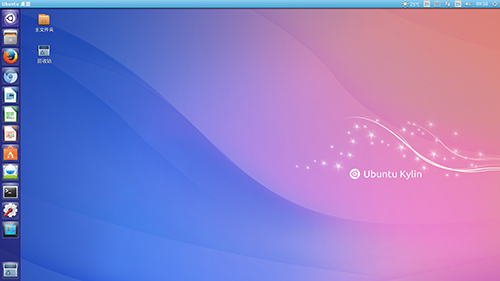 Users can install or upgrade the software via Ubuntu Kylin Software Center. Note That: This is a Beta, which is not suitable for normal users, but for Ubuntu Kylin developers and users who want to help us test by finding, reporting, and/or fixing bugs.